Comment: *WITHDRAWN LIBRARY COPY* with customary library collection spine label; Cover shows minor wear. Proceeds benefit our library! Covering 31 North American species, with more than 250 color photos and 33 maps, this is the most comprehensive field guide to hummingbirds. 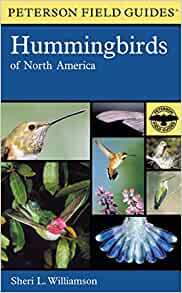 Introductory chapters cover the natural history of hummingbirds, ways to attract and feed them, and major hot spots in the United States and Canada for observing these fascinating birds. The 31 color plates illustrate 28 species, 7 hybrid combinations, 3 forms of albinism, and 4 species of sphinx moths often mistaken for hummingbirds. Species accounts provide in-depth information on plumage, molt, songs and calls, wing sounds, similar species, behavior, habitat, distribution, taxonomy, and conservation concerns. Detailed range maps show breeding, non-breeding, and year-round distribution, migration routes, and records outside expected areas of occurrence. Besides being objects of wonder, hummingbirds, says Sheri L. Williamson in the Peterson Field Guide: Hummingbirds of North America, are unique to the New World, range in size from the smallest warm-blooded animal (Cuba's Bee Hummingbird) to outsizing songbirds (South America's Giant Hummingbird), can fly backwards and side to side, and still defy category among ornithological types. The habits, habitats, migratory patterns, physical traits, diet, mating practices, where to find them in short, all the information that a good wildlife guide offers are the stuff of Williamson's book. Clear, engaging prose and 180 full color photographs make this a natural for birdwatchers everywhere. 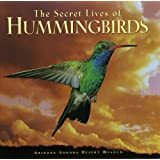 There are many books about Hummingbirds and how to attract them and how to feed them and even how to identify them. What makes this book different is that it clearly points out easy to spot "field" ID visual markers whether they be the bill shape and size, a color or a stripe. In other words, you don't have to know every detail of the Hummingbird to make a snap identification. I have been using Peterson Field Guides for years and this one does not disappoint. As a bonus, it tells you about Hummingbird hot spots and it tells you about feeding them and attracting them. In other words, this book does it all. If you are in love with Hummingbirds like I am or even if you just like to look at them and identify them now and again, pick up a copy. 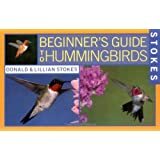 5.0 out of 5 starsGreat guide to hummingbirds! 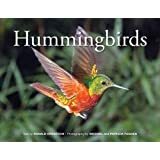 I ordered this book along with two others when my grandchildren and I decided we needed more background on the hummingbirds who visit my feeders every day. There is an abundance of wonderful info on the hummingbird types and habitats in this book. The pictures are exceptional. I especially love the small size...making it easy to handle while we're outside. After using the book, we're on the search for a hummingbird nest in our nearby maple tree. It seems to be the place where most of the hummingbirds perch between feedings. The book talks about the nests and how they come back to the same next year after year. Very, very interesting. It's just a little more technical and widespread than I had hoped. I'm sure the ones in my backyard are in there somewhere, among the hundreds and hundreds. Complete enough to be handy and helpful, but not overwhelming for the average birder. Quality construction and content. Bought it too late in the season, but looking forward to wearing it out this coming spring! I'm sure that it is great for someone that wants more in depth information. I was looking for something that was a lower level for my elderly mother to identify her hummingbirds. I should have done more research. Lots of information, best for the advance birder! Needed to get some reference pictures to do some hummingbird paintings. Great photography!